In 1999 the dot-com boom was sending lots of money to Sacramento. The state Legislature saw it as a good time to share some of that wealth through state and local pension plans via Senate Bill 400. Today, as California grapples with double-digit unemployment and an anemic economy, SB 400 gets credit as the single biggest contributor to California’s public pension debacle. The Stanford Institute for Economic Policy Research last year estimated a CalPERS funding shortfall of $500 million. It’s a mess not just for state workers but also for the 1,500 local jurisdictions that are part of CalPERS. Former Gov. Gray Davis has expressed regret for signing SB 400 into law, and Ray Haynes, the Republican whip in the Senate in 1999, now says he should have flagged the bill for closer scrutiny. Failing to do so “was a mistake of historical consequence,” he wrote for the political website Flash Report. What horrible change did SB 400 bring about? It boosted pensions for state public safety officers starting at age 50 from 2 percent to 3 percent per year of service. It also allowed local agencies to do the same. That extra percentage point had big consequences because the new formula was retroactive for years already served. Bumping up the percentage could mean boosting the retirement benefit from 60 percent of pay to 90 percent of pay. And while it was primarily for state safety officers, it started a competitive bidding war among state and local agencies. “The local public agencies back at that time were caught in a dilemma,” says Steve Keil director of labor relations for Sacramento County. It takes about one year and $200,000 to get a new police officer up to speed, Keil says, and many of them stay in law enforcement through retirement. If the California Highway Patrol could offer a much better retirement package, local agencies would essentially be paying to train CHP officers. The same year SB 400 passed, the state passed a binding arbitration law for single issues in labor contracts. It was later found unconstitutional, but in the meantime many local agencies figured they’d be better off negotiating a 3-at-50 plan right away instead of being forced into it later, Keil says. The program moved through local jurisdictions “like a grass fire,” Oliveira told the state’s Little Hoover Commission last year. Besides, lots of retirement plans were flush, so it wasn’t seen as a real burden. “In many interviews that I had with local electeds who were in office at the time, the same message resonated. They were told that they were fully funded, and it would not cost them anything. If they did not make the enhancement, their officers possibly would take employment with the state or another local agency,” Oliveira said. SB 400 also undid a two-tier pension system that California had set up in 1984. Top-tier hires got 2 percent at 60, while lower-tier employees got 1.25 percent at 65. But the optional lower-tier plan required no employee contributions, so it proved popular. With the boom years yielding great returns for CalPERS, “SB 400’s real purpose was to bring fairness and equity to retirees and state workers who over many years had seen their benefits fall significantly behind those of many other California public employees,” says Ann Boynton, deputy executive officer for benefits for CalPERS. SB 400 wasn’t the only big change to public pensions systems. In 2001 the Legislature passed Assembly Bill 616, allowing local agencies to give miscellaneous employees 3 percent at 60. That sparked another competitive bidding war, the commission said. But those two pieces of legislation aren’t the whole story. The state’s retirement system is not one big fund. It’s 131 separately managed plans serving 4.4 million people. About 1 million of them are retirees, disabled former workers and surviving beneficiaries. Of the 131 pension funds, 46 are defined-contribution plans similar to a 401(k) plan in the private sector. Money goes into the accounts at a fixed rate, and the payout depends on how well it’s invested. The remaining 85 plans are defined-benefit plans more like the private sector’s traditional (and nearly vanished) corporate pensions. Workers are promised a certain payout — no matter how much must be invested to make it happen. Also, while CalPERS is gigantic, it covers only about half of all government workers in California. Public school teachers have the California State Teachers’ Retirement System, and 20 counties operate defined-â?¨benefit retirement plans independently of CalPERS. Sacramento County is one of them. A few cities and special districts also have their own pension funds. The University of California system has its own retirement plan, which doesn’t receive state funding. In fact, from 1990 to 2010 it was funded entirely out of investment returns, according to the Little Hoover report. It ended up underfunded, so employees and the university are once again making contributions. So while CalPERS might face a huge funding shortage, other programs are much healthier. Sacramento County’s defined-benefit plan, for instance, is about 87 percent funded. Given the battering that many investments took in the recession, any plan funded at more than 80 percent is doing well, Keil says. And the county has taken steps to make the plan even less expensive. In April, Sacramento County hammered out new labor agreements with a dozen employee groups covering the equivalent of 5,832 full-time jobs, about half the total county payroll. Starting this summer, new hires get less generous pensions. Employees in safety-related jobs get 3 percent at age 55, instead of the old 3 percent at 50. Nonsafety employees get 1.92 percent at 60, instead of the old 2 percent at 55 and a half. In general, the new formulas mean about 20 percent less money for nonsafety retirees, Keil says, though that drops to about 7 percent at 65 as an incentive for employees to stay on the job longer. For safety retirees, it’s a 22 percent difference at age 50 and no difference at all at 55. Of course, none of those savings will show up on the county’s books until the new hires hit retirement age. “In terms of what it is actually going to save us, we don’t know that because we have to do an actuarial study,” Keil says. Combined with previously negotiated deals, the county now has extended contracts with about 75 percent of its work force. A few more contracts were in a “tentative agreement” phase as of press time and would boost the total to 85 percent. Such change has been relatively rare. In the recent recession, only a few dozen public agency contracts with CalPERS lowered benefits for workers. “During the same period, however, nearly 200 agencies actually enhanced benefits for current workers, calling into question the ability and willingness of local officials and employees to rein in costs,” the Little Hoover report said. The city of Citrus Heights even added a provision for elected officials to receive pensions. The city of Sacramento’s proposed budget for fiscal 2011-12 managed to close a $39 million gap without any kind of pension modification, says city spokeswoman Amy Williams. Some local jurisdictions have stated their intentions to make big changes in pension plans, though the results are yet to be seen. Last summer the Stockton City Council adopted an “Action Plan For Fiscal Sustainability” that included a section on pensions. The plan notes the city currently pays 100 percent of the contribution to CalPERS, including the 7 percent “employee” contribution (9 percent for sworn employees). The City Council vowed to make city employees pay their own contribution and to set up a second tier of benefits for new hires. But the city can’t simply dictate those results. They have to be negotiated. 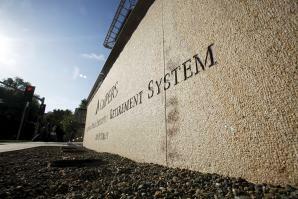 As of this spring, the police are paying half of the employee share to CalPERS, or 4.5 percent. Starting July 1 they will start picking up the remaining share. “You’ll be seeing more of that in the future as contracts come open,” she says. It would be nice to introduce the measures slowly over time, Montes says, but the city has a lot of catching up to do. When all the benefits are added up — pensions, health care, workers’ compensation insurance and more — Stockton is paying $1.15 extra for every dollar of wages, Montes says. Forty cents would be closer to the norm for government payrolls. The Little Hoover report may be the most extensive look into California’s public pensions, but not everyone accepts it at face value. One of the dissenters is state Treasurer Bill Lockyer. His rebuttal noted that the â?¨report uses data from fiscal 2008-09 to gauge CalPERS’ and CalSTRS’ unfunded liability. “More current data was available,” Lockyer wrote. “The data show that market gains from the last two years have reduced both systems’ unfunded liability.” CalPERS, which was only 61 percent funded in fiscal ’09, had moved up to about 70 percent. The report claimed “actuaries estimate that in the next few years, government agencies in the CalPERS system will need to increase contributions to their pension funds by 40 percent to 80 percent from 2010 levels.” But only one actuary made that statement in testimony, and CalPERS’ own estimates put the figure at 24 percent, Lockyer notes. In testimony to the commission, public-finance consultant and commentator Girard Miller estimated the deficit for all state and local retirement plans at about $325 billion, or about one-third less than the Stanford report. The pension dilemma is more than just how the numbers add up, though. It’s what the numbers are intended to represent. “City and county officials at one time did not make anywhere near the money their private sector counterparts made,” says Tim Johnson, a municipal consultant and former economic development director in Sacramento. To make up for that, governments offered better retirement benefits. These days, a lot of government jobs pay well, Johnson says, and there’s still a handsome retirement package. Not everyone agrees with that outlook either. And each city or county is an individual case. Ultimately the discussion is about big-picture policy. How efficient and productive of a work force does a city or county need? What kind of compensation must be offered in order to get that? And what period of time is a fair measure for return on investment? For thoughts about how to grapple with local pensions, tune in again next month.